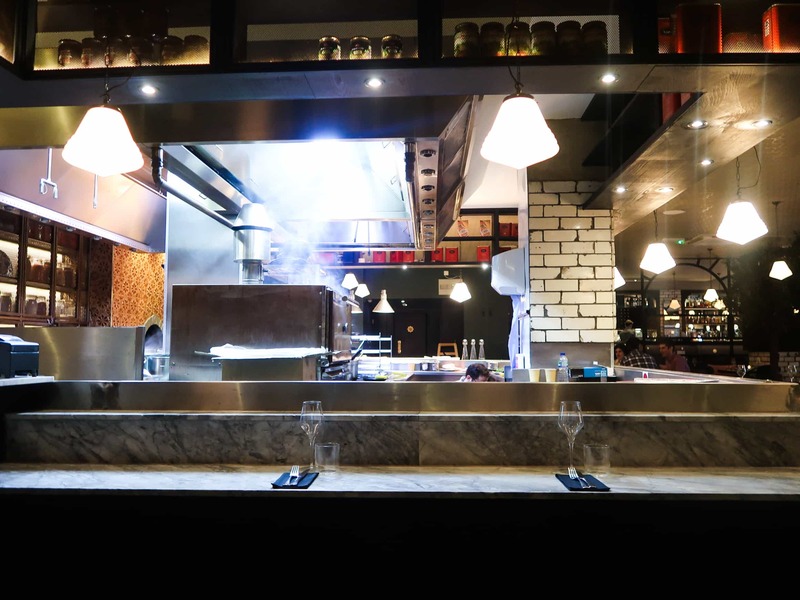 When Yosma first opened, it was the hottest Turkish restaurant in town. 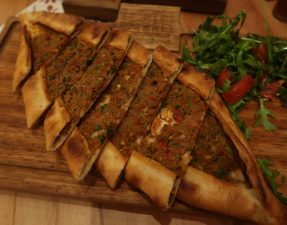 Everyone seemed to have pushed aside the classic ocakbasis of Stokey, and were instead heading to Baker Street for their Turkish fix. Unfortunately, they weren’t halal at this point. And being right on my doorstep, I would have to walk past, watching everyone else enjoy the famous lamb manti and cheesy kunefe, but not me. Ugh, major FOMO. Last week, fate changed when an email popped up in my inbox. A member of staff (thanks Sam!) had gotten in touch to inform me that Yosma had managed to source halal lamb and chicken for their restaurant. Oh my goodness, it was HGAT’s time to take part in all the Turkish fun too! I booked a table for three that very day, and dragged BW and FG (From Bake St) along with me! 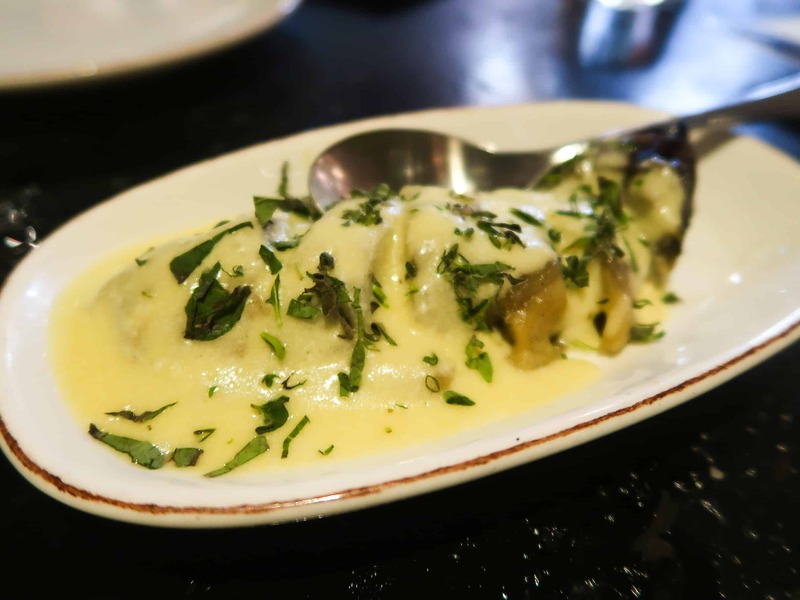 A medium aubergine that had been roasted over hot coals, before being smothered in a creamy, rich lemon garlic sauce. The aubergine was deliciously soft with a lovely smokiness from the coals, and combined well with the zingy cream marinade, but I would have preferred it to been served warm. 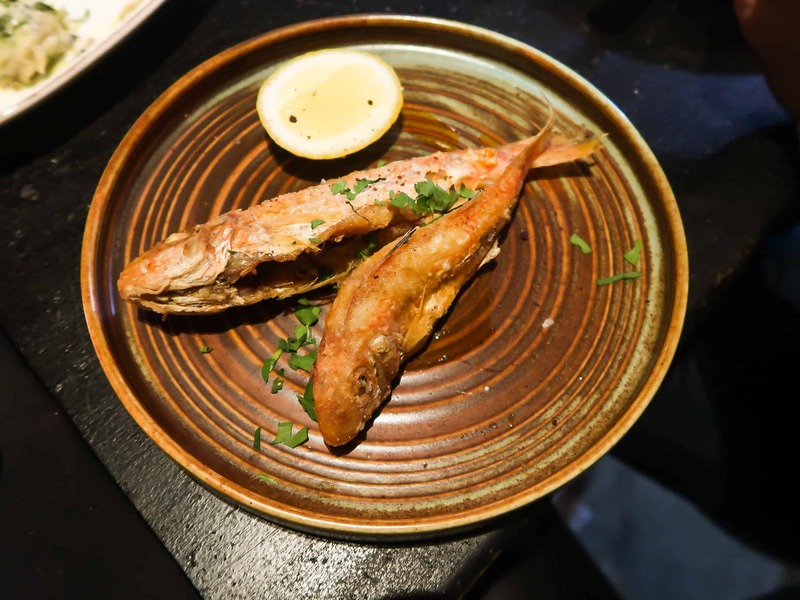 Tiny little fried mullets that were perhaps almost too cute to eat, but we got stuck in with our hands anyways. The fish had been fried well, but more seasoning would have completed this dish off quite nicely. My favourite savoury dish of the evening: a freekeh salad with spring onion, juicy blueberries, and pomegranates. 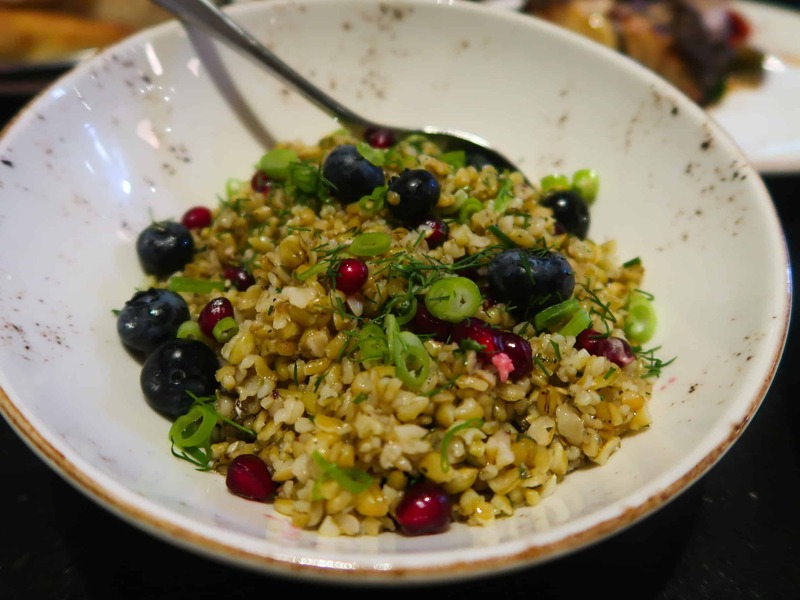 The freekeh was lovely and nutty, with the perfect chewy texture, and the occasional burst of sweetness from the blueberries and pomegranates added a nice contrast to the dill. 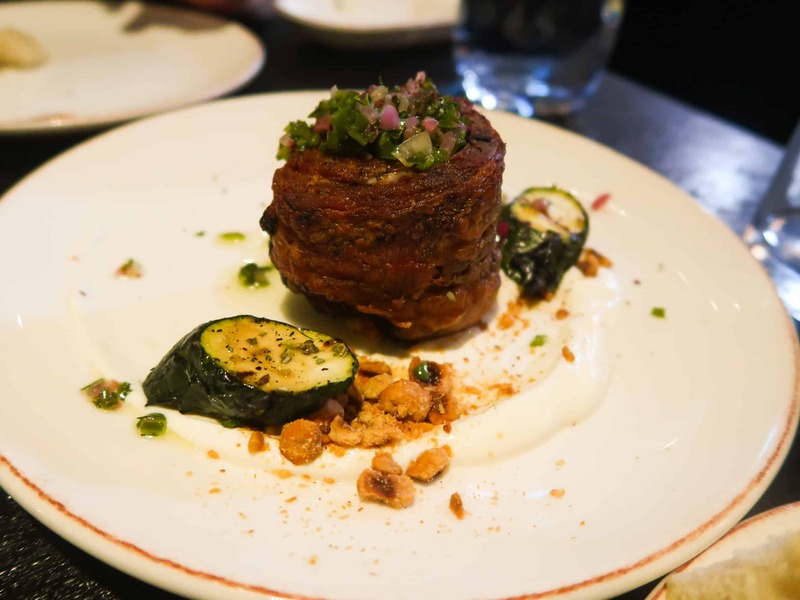 The lamb breast was wonderfully soft and had a nice char from the grill, but I felt it was quite lamby, which I guess is the norm in Turkish cuisine, and would have benefitted from more of the tangy chilli ezme that Yosma had placed atop. 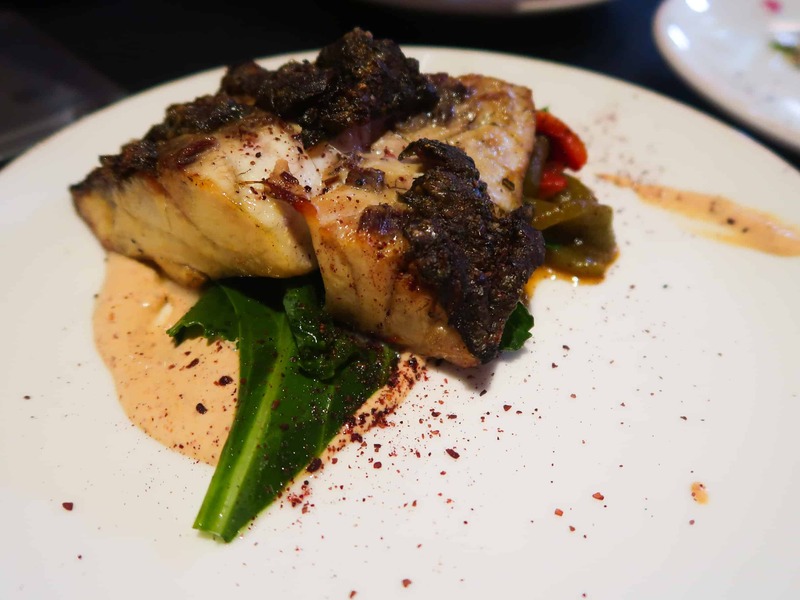 Large pieces of stone bass that were grilled and served alongside a spicy cemen (tomato and pepper based sauce) and kale, that was a little heavy on the oil. 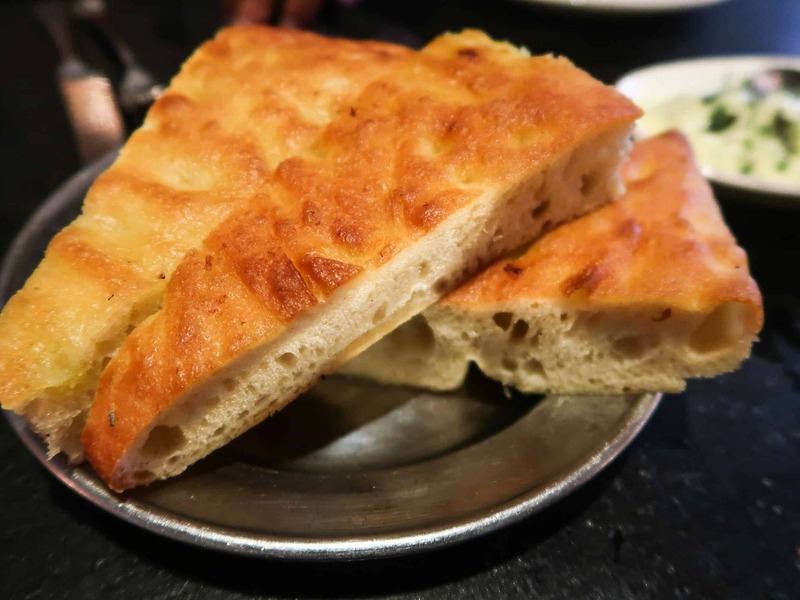 I did find the bass to be tough and firm, in comparison to the mouth-meltingly soft and fantastic version at Jamavar’s, and sadly, this was my least favourite of the night. 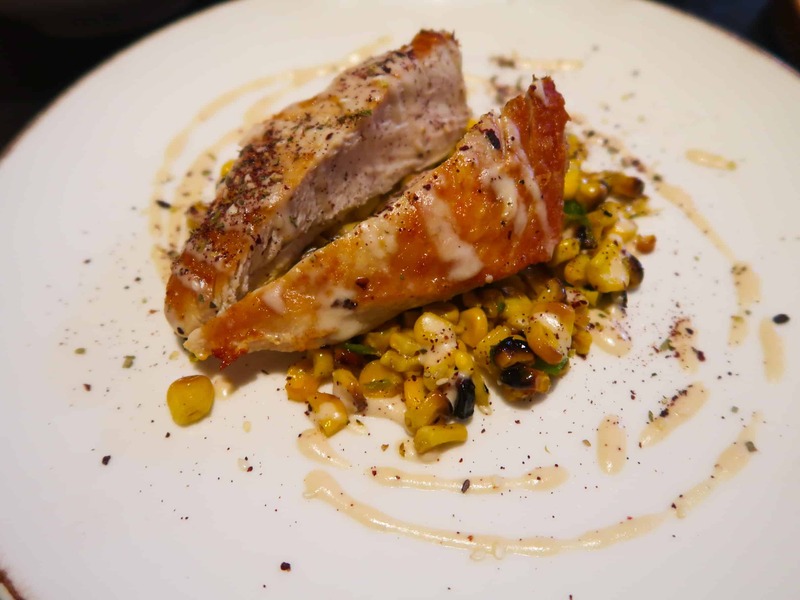 A hunk of chicken breast that had been grilled, and served with charred sweetcorn kernels and creamy tahini sauce. The chicken breast itself was of good quality and had been cooked fantastically, but I would have liked more flavouring to make it really stand out. As decent as the food was at Yosma, the desserts really stole the show! 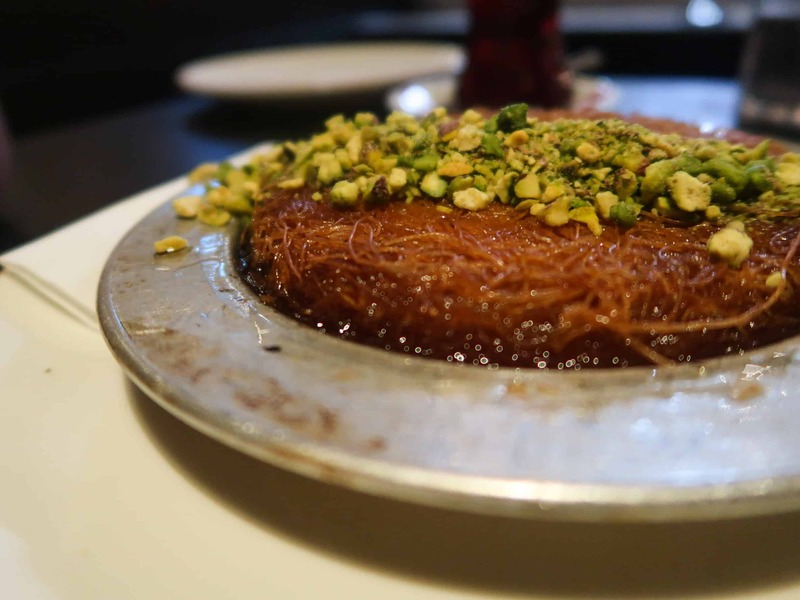 Served warm, this kunefe was incredibly rich, decadent, and very naughty. The cheddar was super stringy and cheesy, whilst the crispy noodles had been drenched in a delectable sweet lemon syrup and finished off with crushed pistachios. Phwoar. Unfortunately the cake had burst before coming to our table, but this tahini cake was studded with sesame seeds and had been filled with a warm tahini sauce. 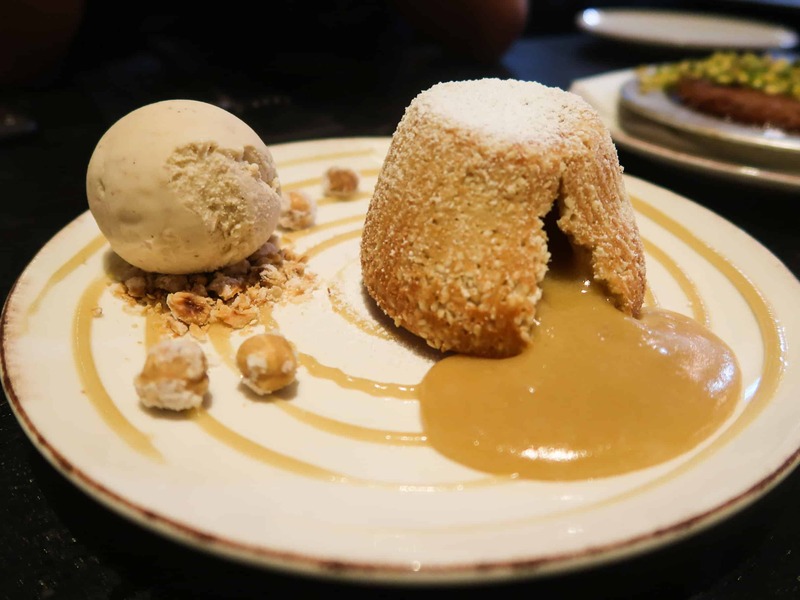 Both the cake and the filling were not too heavy on the tahini nor the sweetness, and the flavour combination with the nutty hazelnut ice cream was superb. And because two desserts were not enough, we opted for one more: the muhallebi. 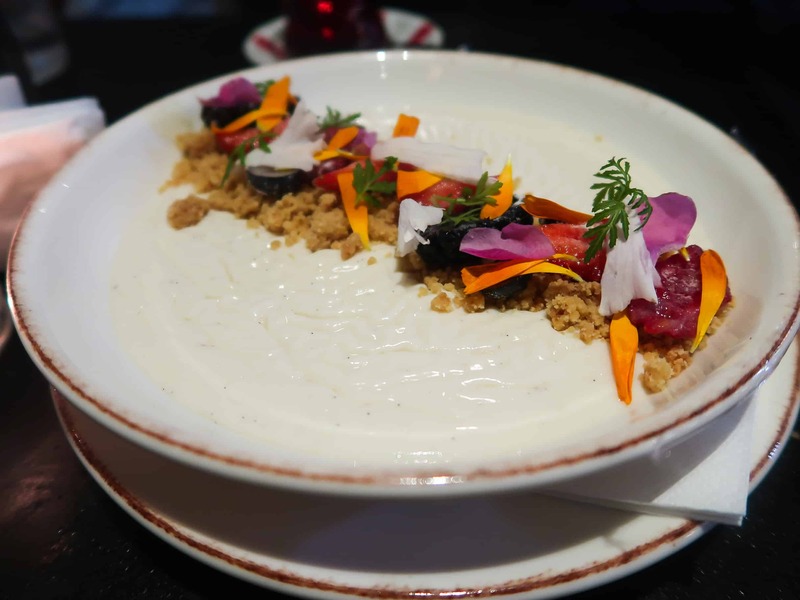 A creamy pudding that had been cooked with fresh vanilla pods and honey, and topped off with a sweet biscuit crumb and berries. All the components balanced out really nicely, but this paled in comparison to the other two desserts. The total bill for three amounted to £109, so approx £37.5 each including drinks and service. It did seem a little pricey for a casual dinner, but we had definitely over-ordered as the food was enough for 4-5 people. 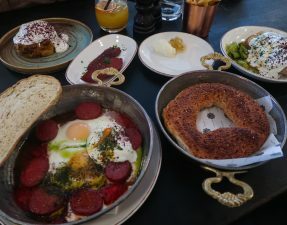 Considering how many halal options there are available on the menu, Yosma is definitely worth the return, especially for that kunefe and tahini cake, however I would do so only if I was in the area. Click here for Yosma website. 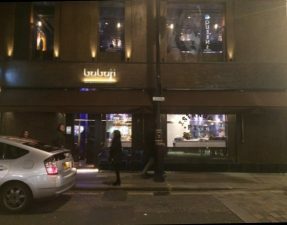 – Halal status verified by restaurant on lamb and chicken, with certificates. The halal items are clearly noted on the menu.